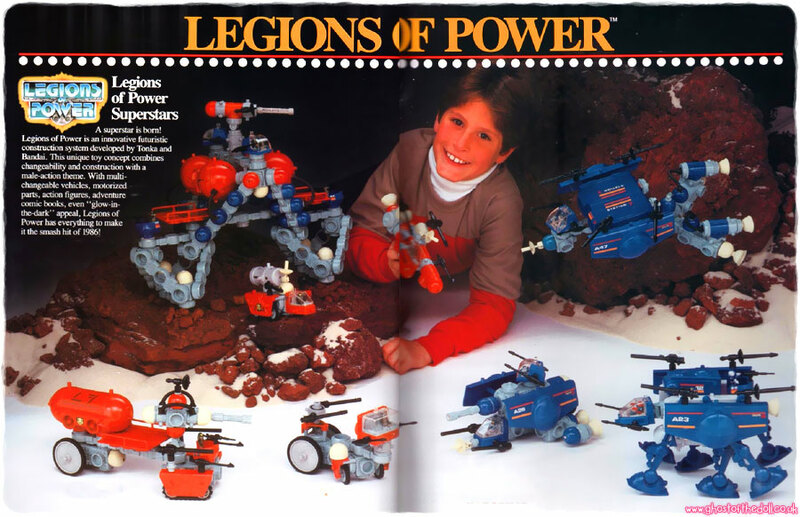 "Build a universe of battle machines!" 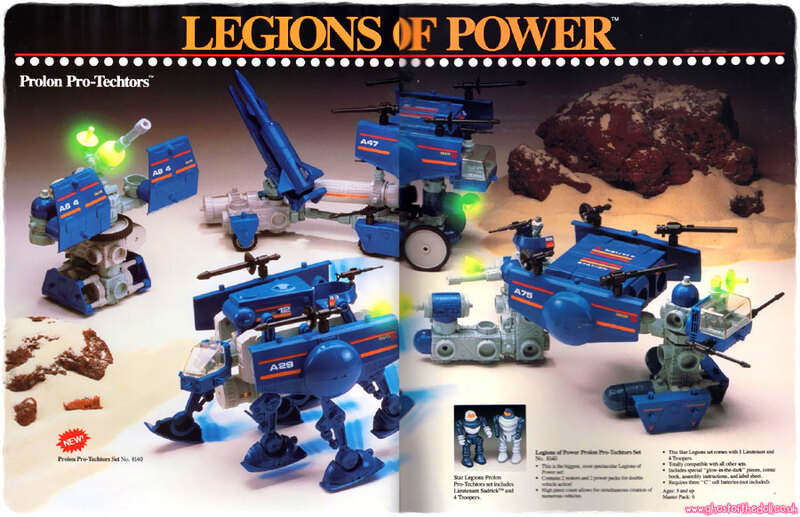 Legions Of Power were produced by Tonka from 1986. 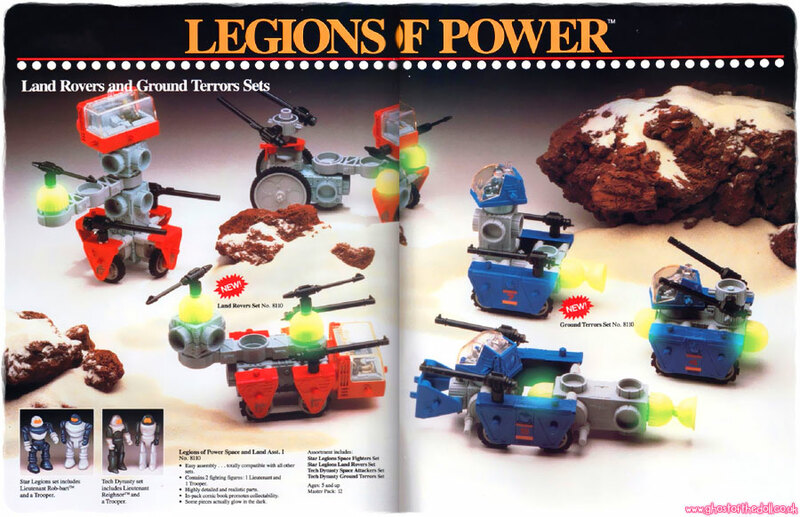 This page contains catalogue images only, not a complete list of toys. 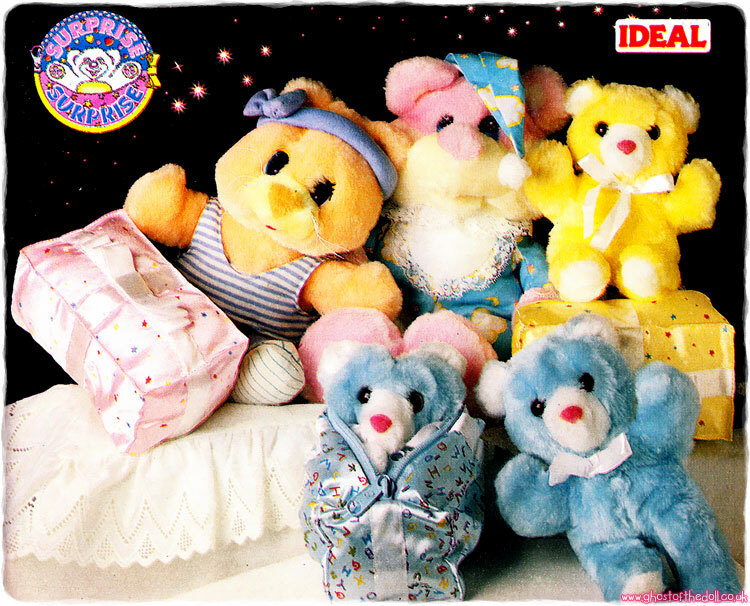 "A superstar is born! 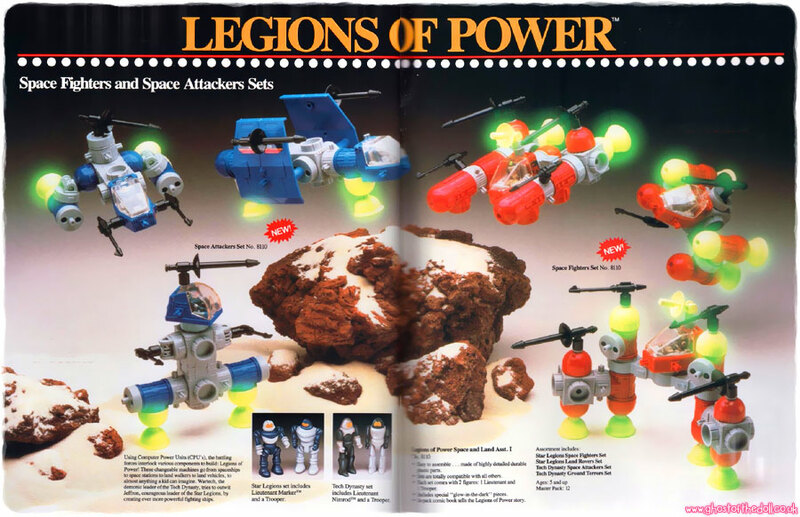 Legions of Power is an innovative futuristic construction system developed by Tonka and Bandai. 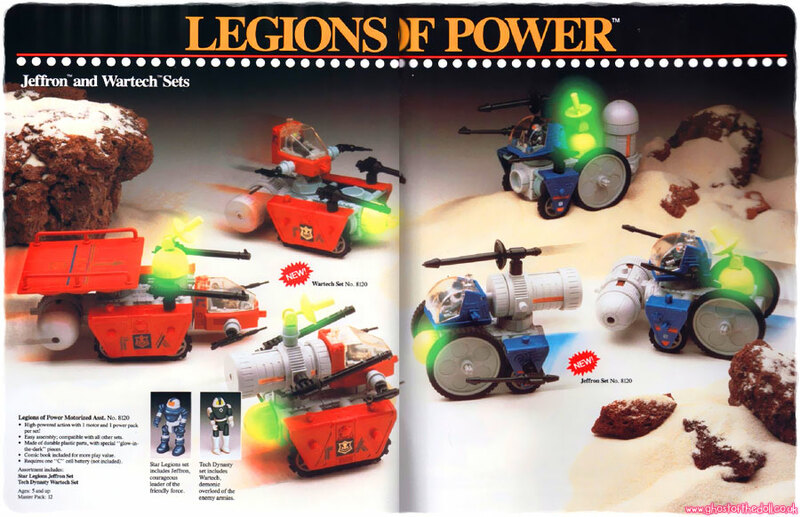 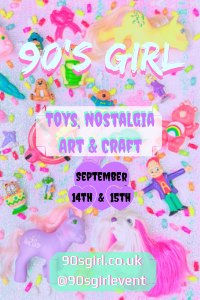 This unique toy concept combines changeability and construction with a male-action theme. 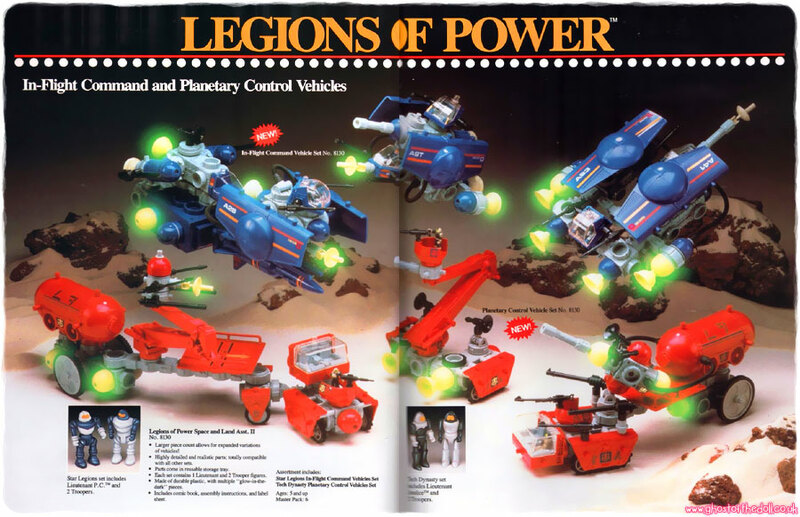 With multi-changeable vehicles, motorized parts, action figures, adventure comic books, even “glow-in-the-dark“ appeal, Legions of Power has everything to make it the smash hit of 1986!"